A bit of a light hearted take on data I pieced together from the web. 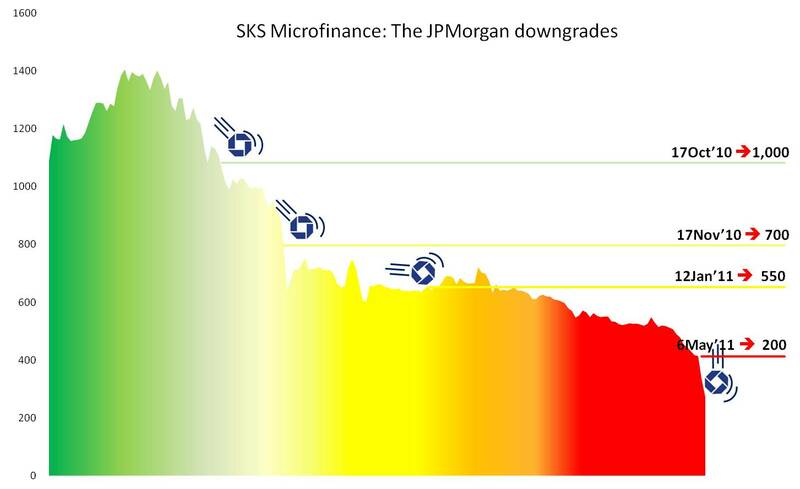 We know that JPMorgan did not get the mandate for the SKS IPO, but there are indeed some dark stories that have come out re SKS – upward bias of interest rates, insider trading allegations and all that. Some of these successive downgrades may have been dipping the toe in the water kind of cautious missives – but the latest one that drops the ball right down to 200 is a nice, clean cut. Wats stocks do you hold in your portfolio?